Free Shipping on all orders over $50 (some restrictions may apply). Buying a Table Tennis Table? Contact us for guidance and best market price. TableTennisStore is a one-of-a-kind online shop offering a vast selection of ping pong tables, paddles, balls and every other table tennis accessory available. Whether you are a beginner, intermediate or advanced player, we can help you improve your game with the best ping pong paddles and tables for your skill level and needs. The proof? When you click ahead through our pages, you'll find more than 1,000 products including the most exceptional table tennis rackets and ping pong tables for indoor and outdoor use. When it comes to ping pong rackets, we have a selection of blades, paddles, and rubbers that is second to none. Our product experts always are available and they are more than happy to give recommendations to suit your needs. Our Joola ping pong table selection includes all of their best sellers, and we also are proud to offer table tennis tables from Butterfly, Cornilleau, Donic, Killerspin, Martin-Kilpatrick, Siga and Xiom. We offer a wide selection, of outdoor, indoor, compact, stationary, rollway tables from professional tournament models to recreational home use. Our complete collection of accessories includes nets, table tennis robots, cleaners, covers and more. No matter what price or type of ping pong table you're after, our sharp pricing, hassle-free ordering, and prompt shipping make it faster and easier than ever to have the right one at your door right away. Ping pong paddles are our passion, and we are proud to provide one of the most extensive selections of table tennis rackets found anywhere. Blades, pre-assembled paddles and combo specials are available in Shakehand, Chinese Penhold and Japanese Penhold styles. We carry the world’s top brands including Butterfly, Der Materialspezialst, DHS, Donic, Gambler, GEWO, Stiga, Tibhar, TSP, Victas, Xiom, Yasaka and more, at great prices. Our full range of rubber replacement sheets is second to none and includes leading professional names, like Tenergy, MXP Evolution, Nexxus, V15, Curl, Spectol. Need long pips, anti, short pips, medium pips, we have it. We also sell glue, racket cases, edgetape, bat covers, protector sheets and more. Whatever your skill level and preference, we offer you the ideal fit. We also carry a full range of table tennis balls, from professional ABS three star 40+, seemed and seemless, as well at training and outdoor and oversized balls. We also offer money-saving larger packs that are especially good for schools, collegiate team and recreation center use. Want to play your best in expert table table tennis shoes? Look sharp in the latest table tennis shirt, shorts or track suit? We carry a wide selection from Butterfly, Donic, Gewo, Stiga, and Xiom. Color choices are wide-ranging, and our size range is extensive. Click through our store or call us directly. We will be happy to advise and get the right shoe size for you. 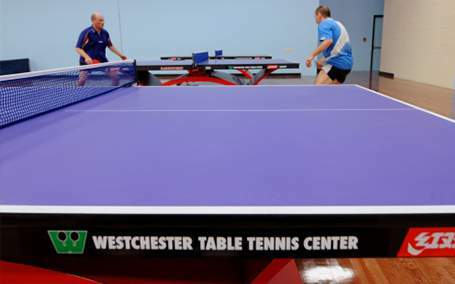 Whatever you're shopping for, our mission is at TableTennisStore.us is to elevate your ping pong game by providing you with expert consultation and help in choosing the right table tennis equipment. We use and test all of the products we sell and offer helpful information about what are the best options for each player and skill level. No matter whether or not you're a beginning, intermediate or advanced player, click ahead for the right products to improve your game! Our online store and pro-shop is located in Westchester County New York State. We know table tennis and are happy to provide expert consultation. Photographer - Henry Lee, Player: Jian Li, Location/Time: Westchester Table Tennis Center, June 2016 Open Finals.